Limitless belief – Anything is possible, really! How often do we say “We cannot do that BECAUSE it is too expensive” or “We cannot go there BECAUSE there is not enough time” or ” We cannot live there BECAUSE the people are not friendly”? These are all obstacles, restrictions and conditions that we create ourselves altering our perceived world. We construct our own cages and fashion our own sentences drastically decreasing what is available to us. It is merely our perspective of the world (the world which is neutral and indifferent) that adjusts how we see and experience life. That perspective is founded and nourished by our beliefs! You control the belief, you control the people. 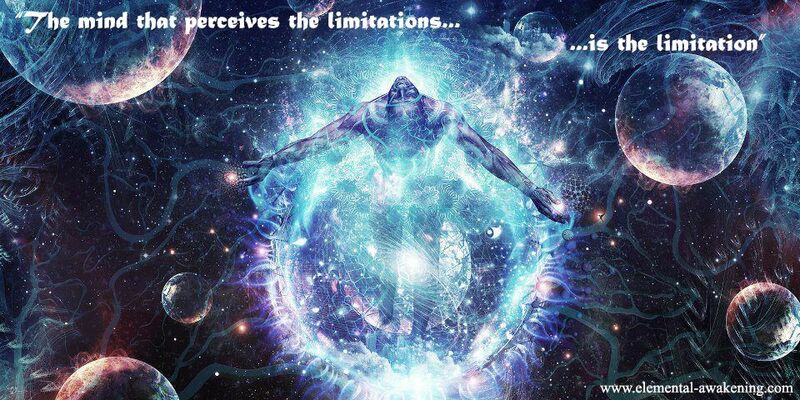 The mind that perceives the limitation is the limitation. I always use the example that two people could be standing naked on an unknown beach somewhere watching the most beautiful sunset. One absolutely overcome by the breathtaking beauty and the other depressive and crying. Physically they are the same. They have nothing, they do not know where they are yet it is the internal composition, the perspective through which they look at the world, at life that alters how they feel. The internal world plays a much greater role than the physical manifestation for the latter is compromised of the former. Simply shift your perspective on a situation and see how it may evolve and transform. If we know that anything is possible why then do we allow ourselves to be conditioned and bound by parameters that do nothing to serve us? If you could be anything, or anyone, be anywhere feeling absolutely joyous– why not? We are entitled to happiness – it is our God given right to enjoy and be abundant in the current scenario, the play and ever dream that we find ourselves in! Do you think any of this is real? Do the stars still shine during the day? Have you ever been outside in nature, far away from light pollution and looked up at the clear night sky? You saw and felt might of the Milky Way pushing down on you. An infinite expanse stretching up and beyond. That same energy is beating down upon you right now, be it night or day, inside or out. This is the ultimate example of the veil of illusion – the stars are always there, their energy constantly, permanently, unconditionally and unwaveringly being channeled towards US. It merely takes an expanded state of awareness, a heightened sense of consciousness to come to that realization. 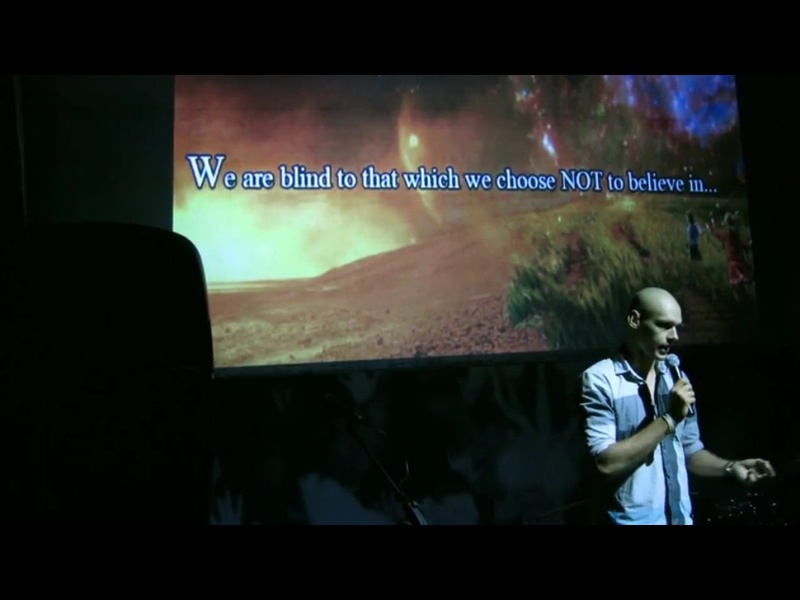 If that can be incorporated into your perception – why not that EVERYTHING and ANYTHING is possible aswell? Wherever I go, I will see and feel only that which my perspective filters and allows in, that which my mind has conditioned me to acknowledge. The scope of what may be available immense – it is I who limit what is to my disposal. The Spark of your Soul – the ember of Creation is well and alive in you. 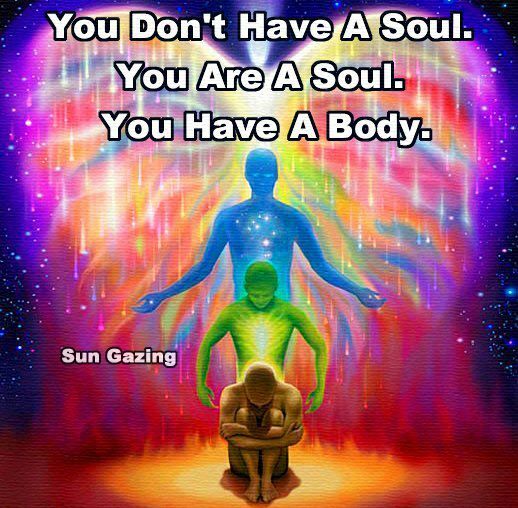 You feel it burning inside of you – lending you vitality and nourishing your soul. Harness the courage and conviction it has to offer you, donned with the belief and integral understanding of infinite possibilities – you venture forth into the ever expansive, intrinsically simplicity of all that is and could ever be. My perspective is expansion and unconditional, bound and fused in love and beauty. I am humbled by what I feel, and I allow my soul the full expression of the Divinity that I am. Anything is possible – so why deny myself the feelings that seek me out in the deepest recesses of my core being. I love this life, in many lives, allowing the beauty of my soul to flow freely in the expression of who I am – a true Divine being and Spark of Creation. Believe that everything is possible, really believe in it. When you find yourself being challenged take a moment and reassess your perspective – the way you are thinking and feeling about said situation. Does it make you feel happy? What are the limitations that are immediately apparent to you? You are the Universe expressing itself as a human being – with that knowledge do you really believe you cannot alter the situation? Again, the work comes from within, how you perceive it and feel about it drastically alters the benign and neutral dream world we humans wander in. Everything and anything can be changed, we need merely change our feeling and allow our soul to do the rest. If we can do that, we realign with Divine flow and things start to move, freakishly things are lining up and pathways and doorways are created allowing us to reach that which we believe in so strongly. Control the belief and you control the people – society has caught onto this ergo we have such powerful religions. Go where you wish and be who you feel you are meant to be. The Source within you is guiding you, follow its call and be humbled by the dazzling array of who you truly are. Just uploaded a guided meditation I did recently on connecting with Lady Gaia and planet Earth. Download it FREE here now and see the talk I did prior to it on YouTube here. I have also added a new Training products section to the website. Currently there is a workshop I lead that helps you connect to each of the 7 main chakras, the galactic and earth star charkas and more. You can find more details on the Training Products page. The introduction file is free to download so check it out. Many of you may have been experiencing the severe energies we’re in currently – all asking us to change, to let go of the past and to move forward. Lighter and more free. The more we resist this and cling to the past the more we struggle. Grow from within, learn how strong and valuable you are as a Divine being. Once you have calmed the storm inside you may stand in the centre of the maelstrom and always be calm and in peace. Find who you are, removed from everything and everyone. From that point you grow your infinite beauty and bliss, never to be harmed by outside influences again. Yet there is always a choice. On the path of destiny there is the choice of freewill – if destiny however demands a change, the repercussions of not adhering to that, in which ever way or form the change is asked of you, will only be to your own detriment. It is within these moments of life that the true glimmers of hope, love and light become the brightest as they are your beacons, the embers glowing fiercely in the dark. It is thus insurmountable for you to believe in staying where you are is the best recourse. Hope, however intangible it may be – is our ally, our friend. Embrace the change, embrace the moment – let it flow through you, altering, clearing and releasing all that there is to be purged, transmuted and transformed. The cascading effect being that new life vitality can flow through you anew, unrestrained and unblocked by that which was hindering the flow – what was being asked of you to be released, to be changed. As you step onto the new path, looking towards the horizon and the glow of a rising sun, you understand and know that the change was required and that this is now your new path to walk, the path of destiny, the path of your life and your light. Embracing the being that you are, allowing to be, to love and to live a life – that is a gift endowed to you. Moving to the rhythm of my soul. For me personally, I know I am connected to Source when I dance. Not always physically, instead inside of me there is an etheric being that is made of pure liquid light. One who sways and moves, transforms and transmutes to the beat of vibrational energy. When that being inside of me is moving, dancing, flowing free and unrestrained then I know I am connected to Source. Recently however, that has not been the case. Saturn came fast and furious, bringing me down to my knees. Close friendships dissolved, many possessions were lost or broke, I fell ill, I was even refused entry into a country (spending 3 days in a holding cell before being returned to my port of departure). Everything I thought I knew, thought I had, thought I understood – all wiped off the table. I remember on my second day in containment, thinking – “What is the most important thing to me in life?” My luggage somewhere, my passport somewhere else with no means of contacting anyone. I really had “nothing” to hold onto. At that stage I came up with five things that were of value to me. Now, three months later all but one remains on my list which I find difficult to articulate. It is a feeling so deep and so profound that it is only something that can be felt and experienced for oneself. At the very centre of my being – at the seat of my soul – there lies Zero Point Creation. Manifestation from the seat of your soul. A space within you, that is removed from all feelings, emotions, thoughts and experiences other than true and pure Source – untarnished and unblemished by human life. When connected to this, one experiences a sense of ease and comfort unpresedented. Everything I ever desired, wanted, needed – all dissolved. 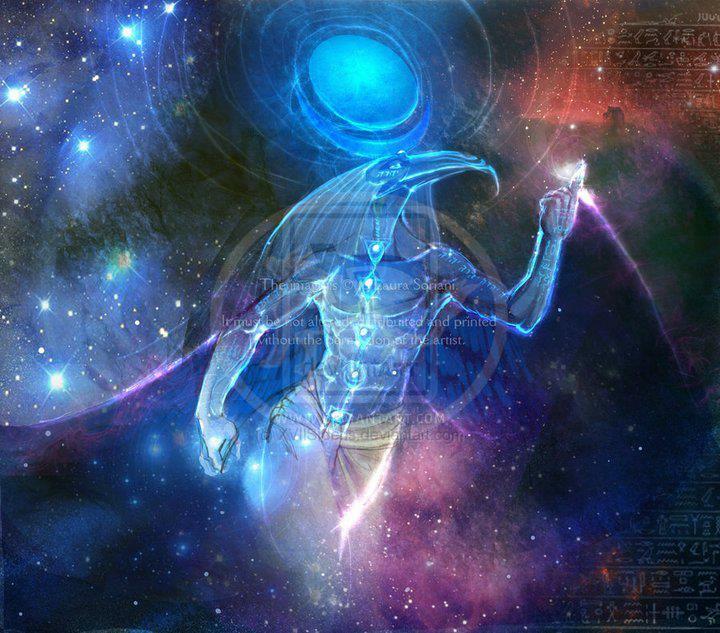 Here I meet my true Divine self, my Avatar self, my Galactic self. All embodiments of my soul. I am always connected to Lady Gaia yet even here, without Her presence, I am still at peace. This exists within all of us, a space where you are and nothing more. I fully believe that the world we see around us is merely a dream, a reflection of the realm that is within us. When you can connect to this inner realm, this space of absolute being and project that outwards – the reality you find yourself in has no recourse but to comply. I always emphasise that WE are the architects to our own experiences. By no means would I have ever wished for the past year – the one that I dubbed “The year of hell and transformation”, yet I now understand the reasoning behind it. My soul drew in those experiences so that I may learn and that I may grow. I am extremely resilient and thus I require extra ordinary experiences to really make an impact on me – for others it may be different. Every moment of every day is perfect – when you accept that and live by that, what is there to upset and disturb you? My story aside, the energies have been chaotic for many of those close to me. Friends refused entry into countries, many with health problems or issues within the family – we really are being asked to take a long hard look at our lives and heal what is hurting. This is by no means an easy process – again we have a choice. 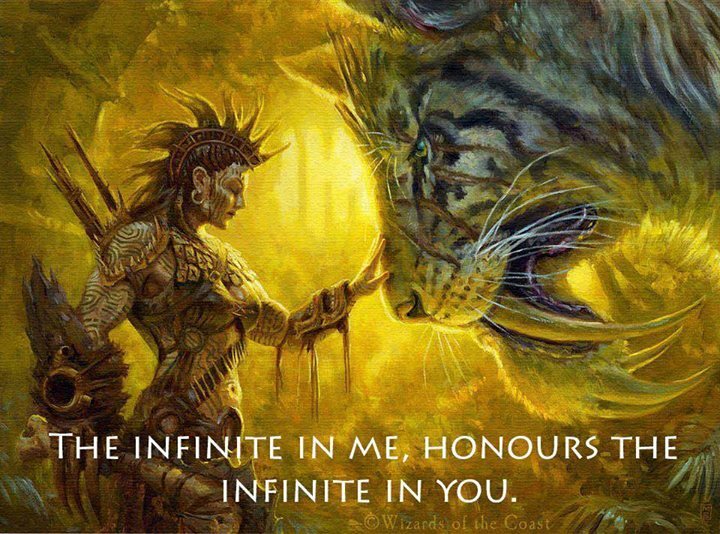 The essence of your being will never attract what is greater than you -and- when you understand the state of Zero Point Creation, creating from the centre of your being, projecting your absolute purity, love, peace and joy out into the world; it gets reflected back to you. “Because you are beautiful inside, everything you see is beautiful” – Japanese proverb. Remember who you are, who you came here to be. Live from a space within you, dancing to the beat of your own drum, the rhythm of your soul – the vibration of your pure Self. You feel, you breathe, you love and you are more than this mere vessel of flesh and bone. Calm the tempest storm and live from the centre of your being, live from the centre of your soul – there where you may dance and be free – guided by the music of absolute simplicity and joy. **UPDATES** I just added a new section to the website – TRAINING PRODUCTS – where I have uploaded a workshop I did recently. The introduction file is FREE to download, so check it out! When did everything become so complex and difficult? Simply, with ease and grace. Unrestrained or blocked, flowing, in perfect synch and harmony with your path. Somewhere along the line it would seem that I got lost, that things became more complex. Rules and regulations where formed within my perception of the spiritual world. How things are and how they should seem took prevalence over ‘just being’. It overrode the simplicity, the ease and surrender. Instead I became single-mindedly focused on my target – forgoing the simplicity of what was before. Listening to a channelling that was done 3 years ago for me, when I took my first big step towards a true spiritual path, I am reminded of how simple things were before. Do not get me wrong, the teaching of Abraham, Bruce Lypton, Deepak Chopra and many others are profound and exactly what many of us need – yet when is enough just simply enough? This kind of visualization with so many affirmations done three times a day. Carrying these kind of crystals with you and eating only this and this food. To NOT do this and NOT do that. I personally find that so many parameters have been put into place that being Spiritual is becoming more a chore than anything else. For me it’s not a state of being anymore, a simple expression of self, of your own pure Divine will and sentient being. I always say, if you see a butterfly take a moment. Appreciate the beauty of it, see how it floats and glide through the air, effortlessly, in supreme beauty and magnificence. Forgetting about everything else, just being in that one moment. Embracing the life, the dream, the reality, the dimension you are found in and not being anywhere else. So thus I honor my Elemental and Galactic selfs, taking time each day to feel Lady Gaia – to honor Her and all the Elementals that live close to me. Not forgetting who I am, not ignoring what makes my heart feel free, allowing the love and light to flow freely from my being. Not held in check or balanced… I am in ‘just a state of being’. Thus I invite you today to reconnect with your heart, the true centre of your soul – the seat of your Divine being. Hear the thunder in your soul, enveloped in beauty, in love and simple joy. What is your heart’s desire – where to are you directed? Wherever you go whole-heartedly, spirit supports us – for we are guided by our own true Divine will. We are led upon the path of destiny, however hard that may seem at the time. Place your trust in Spirit, in the Divine being (we all are) and allow yourself over, surrender to the flow of life – of the greatness that will come. Choose to believe in it – choose to believe in love, in light, in magic, in eternal joy… and so it is. In many ways I had everything taken from me recently, everything I thought I knew, felt and understood ceased to be. In that state I had no choice but to surrender to myself, to my soul. To look again at the path that I am on. What I found is that things had become complicated, three years of teachings and messages laid down a foundation yet I seemed to have forgotten what was at my core — what my soul really wanted, this path I walk upon Earth. Starting afresh in a volcanic crater/valley. The energy of Gaia raw, primal and strong. What is at your core – what does your heart tell you? For some this life is to learn, to absorb from teachers and others. Some are here for service, to heal and support others. Take with you upon your path what you feel is needed, what will support you in your endeavour – the mission of your soul. Try and not be burdened downed by this and that – allow your heart to sing and show you the way of your destiny, the path for you to dance upon. Life is a beautiful thing, focus on that instead of the obstacles and blocks we feel are prevalent. Do not allow ‘spiritual rules and warnings’ to bar the way forward. When love is the focus, simplicity is not far away. The heart does not desire rules and regulations, stipulations and structure. Flow upon your path, held aloft by grace, love and eternal gratitude. With simplicity do I ease into my Divine being – a Conduit of Light and Love for all. This life, is a spiritual life. All of that is spiritual, all of that is saturated with my believes, with that of what I feel and what I know. There is no separation between any of those. Spirituality is not a gig from 09h00-17h00… no, it is a way of living. Every and all facets of my life reflects this. To realize that this is the eternal dream, a realm in which I am allowed to grow, to experience and become more.hat this is the eternal dream, a realm in which I am allowed to grow, to experience and become more. I may feel emotions, allowing them course through my veins. I may experience joy, unrestrained and conditioned. Allow happiness to saturate every part of what is my existence. I may, can, am allowed to do and feel and see and experience all of these – because I choose the life of spirituality. I choose the life of knowing that there is so much more to this life, this realm, this existence. Every morning as I wake, I ground myself, returning to my body from nightly travels. I look out the window and see the sun rising, the dawn painted in an array of breathtaking colors welcoming me into the embrace of my life. I give thanks to the beings of Light that are around me, that protect me and guide me upon my Earthly path. I breathe in the air, fragrances and energies that my friend the wind has carried to me from faraway places. With my feet firmly planted on the ground, I breathe in the Earth – the energy of my Mother, Her Ladyship Lady Gaia. I feel the energy rise up my legs, anchoring me. At the same time I open up my mind, my crown to the Universal energy, feeling God Consciousness flood into me from above. My Pillar of Light, my Conduit of Divine Truth and Perfection. Fusing the energy of Mother Gaia and Divine Knowledge in my heart – I seal it with love and untarnished joy. In that moment, I feel everything for I am everything. It flows through me, out of me and towards me. Divine Consciousness flows through me, from me, to me. An immense pillar of Light has formed, holograms and glyphs, symbols and patterns float around me in golden light. The Light of Purity, of Divine Consciousness Unity and Love permeates every part of my physical being, emotional being, spiritual being and mental being. I am not alone. Raising the vibration, fusing my energy with that of Mother/Father/God on a conscious level – there is nothing but love. We are all Conduits of Light, of Love, of Pure Consciousness. With every step we take we ground that, with every interaction we solidify it. Take a moment and really breathe in the world around you – see the dream for what it is. Feel your energy intermingle with the energy of the realm around you. The people, the buildings, nature… life. In essence, this is a part of you aswell – all that you see is the reflection of what is inside of you. So, when we choose happiness, bliss – then our world reflects that. Why live in anything other than that then? Some people may trigger us – what is the reflection inside of us that wishes to be seen? Find that piece inside of yourself, acknowledge it and know it. Obstacles are there to guide us, not to hinder us. For how can we overcome obstacles when the obstacle is a part of us? Do you try to overcome yourself, fight and resist yourself in that instance? Or do you flow with it, over/around/under/through it? The choice is yours – I prefer to go with the one that embodies joy and love. Every moment of every day – I set the intention to remain spiritual. I am privileged enough not to work in the corporate world anymore and that every day for me is helping others upon their spiritual path – for others the journey continues within the busy world. Take your spirituality with you – do not leave it at home. We all live spiritual lives, whether it be in a suit and tie busy with big corporate deals or teaching small children – we are spiritual beings. Make your life a testament to that – it flows from you always. People need not ask if you are happy, for they see it in your eyes, in your smile, in the way that you walk. People need not ask if you are loved, for they know it, they feel it and they see it. Every step in gratitude, every breathe with love, every heartbeat with unity – I AM a Conduit of Light. Take time during the day and actually feel/see/hear/believe/know your Pillar. See the Golden Light flood down towards you, up to you, through you and from you. Feel your connection, be the connection. You truly are never separated from Source. You are a Spiritual Being, living THE dream. When all is doused with love, saturated with joy and flooded with understanding – then we are as one. Live, be in joy, in love – flow and surrender to who you truly are – a beacon, a conduit, a pillar of all. Open your heart, stop trying to keep it closed. Open it up to the world that is around you, the existence, the realm and dimension you find yourself within. Open your heart and embrace all that there is, removed of fear, doubt and pain. There is nothing more than this moment, this feeling and emotion. I surrender to that feeling in my heart, allowing it to cascade and fall throughout my entire being. My reality, my dream, the reflection will change in tandem with that, painted by the beats of my heart in colors that never existed before now.